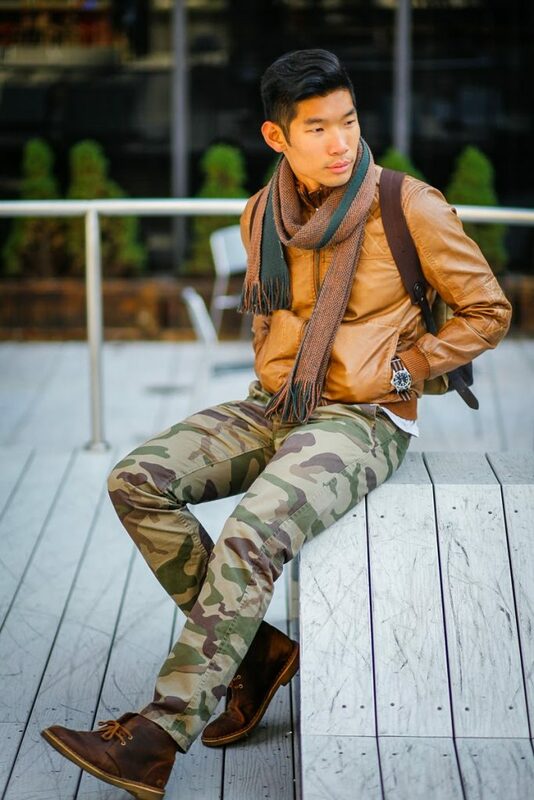 I’ve been in the market for a new peacoat ever since moving back to the San Francisco bay area. It’s kind of a prerequisite for winter, and as much as I love the traditional navy blue, I decided to go with a charcoal grey to coordinate with the oodles black we San Franciscans wear. 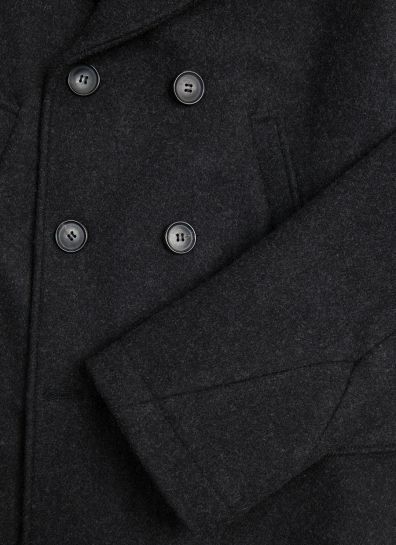 Top of my list was the Billy Reid Bond Peacoat, specifically the Trunk Club edition, which was a charcoal grey with the most fantastic appointments of leather and details. A tougher find, the charcoal color was a limited edition (although they currently sell it in other colors). 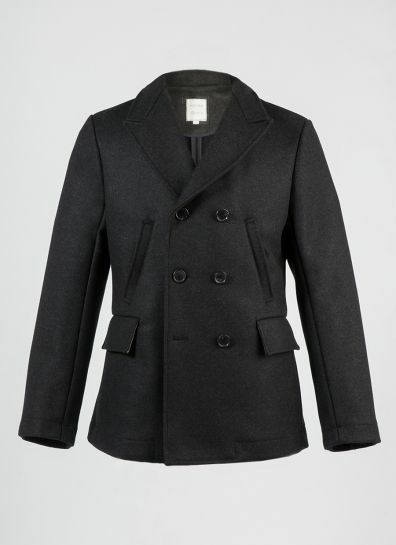 The Bond coat is actually featured in the James Bond Skyfall movie, although the name originated from the flagship Billy Reid New York store located on Bond Street. The story is that Daniel Craig was the one to bring the peacoat on set because he loved it so much. One can see why- leather details on the collar and under pockets, horn buttons, a tailored slim fit, this exceptionally made unlined coat was a great addition to my wardrobe. 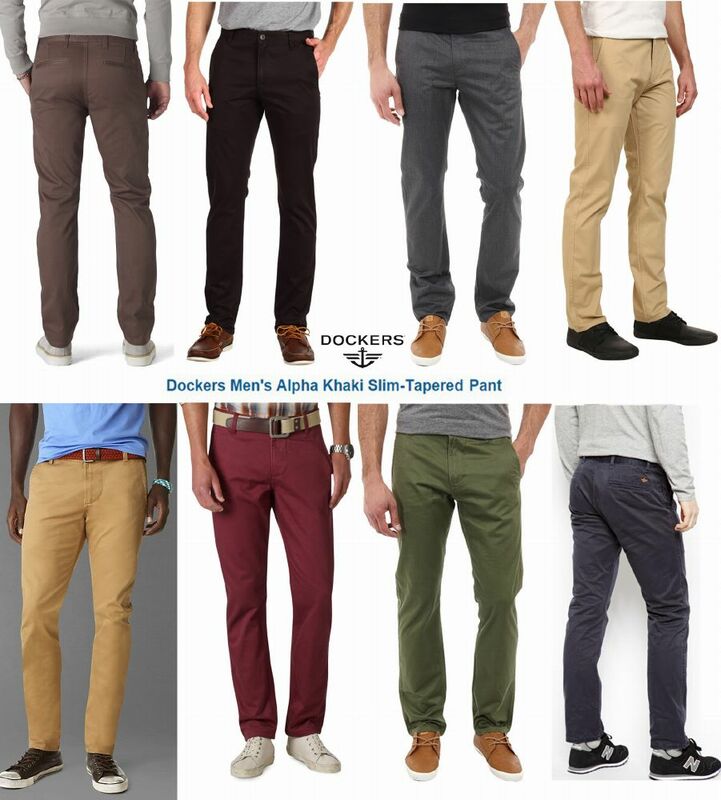 Sure these aren’t going to replace your slacks or dress pants, unless you work in San Francisco. I went a bit overboard and recently bought 4 pairs (in addition to the two I already had) to diversify my color palate. I now wear them almost exclusively to work, and many times on the weekend paired with a t-shirt and flip flops. …and they come in so many different colors! You break them in and wear them just as you would a pair of jeans. Of course they would, as they are made by Dockers/Levis, so they know a bit about Khaki’s and Jeans. They debuted these ‘game changers‘ in 2011, but I still think they are the best out there. Given the more than one-thousand 4-and-5-star Amazon reviews, a lot of others agree. 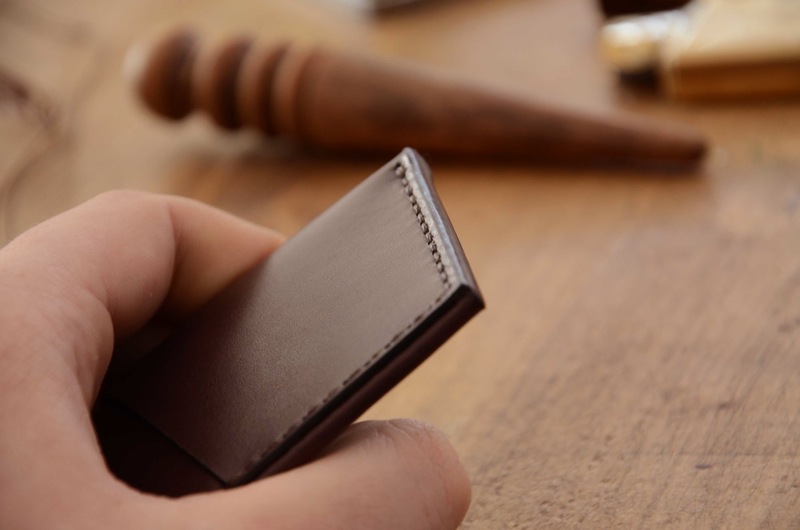 Always on the lookout for a quality slim leather wallet/card holder, this unique design caught my eye and I’ve fallen for it bigtime. Probably one of my favorite accessories (besides a timepiece, or dare I say it- watch), is the wallet. My style began with a sweet florescent Velcro tri-fold from when I was 13 and needed somewhere to hold the $26 from my first paycheck. Then in High School, it was a leather tri-fold with a huge photo-album style insert for pictures. Over time I increased the need for slots, pockets and folds to carry my life in, even developing the notorious ‘fat-wallet’ pattern on the rear-pocket of my jeans. 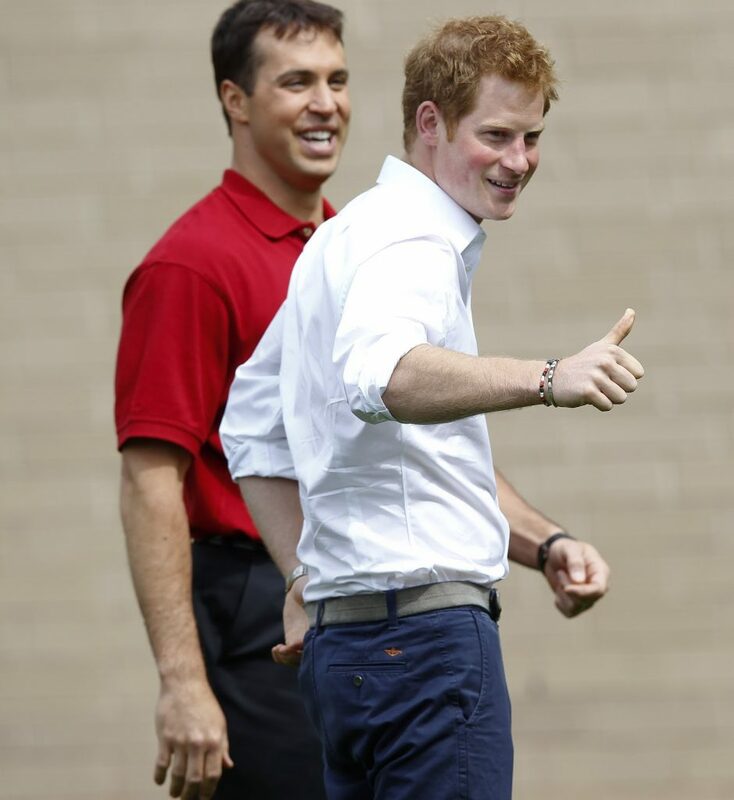 Then I discovered another way (only slightly guided by the introduction of slim fitting pants). I paired down the credit cards, did away with the business cards, photographs, and receipt hoarding ways. The card-holder was my new best friend. Four slots and a pocket was all I needed, and I slowly whittled down my pocket carry-all, looking for any way to reduce the load for a slimmer look. For a while, I was infatuated with money clips (which I still utilize from time to time). I also dabbled in brands- a classic plain brown leather Coach card holder, a nicely patterned Jack Spade, a two-toned leather Paul Smith, and one of my all time favorites- the beautifully stitched Tods card holder. All this has brought me here. 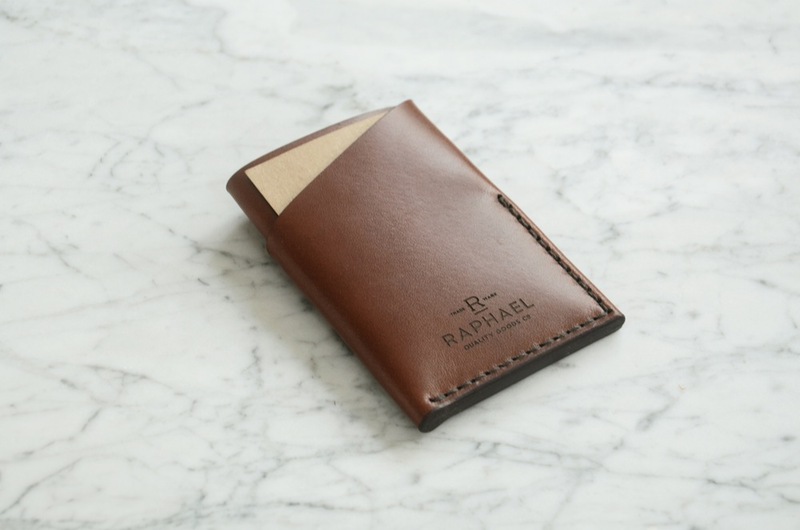 The Lean™ Essentials Wallet by Raphael Quality Goods Co has reinvented the slim wallet category. 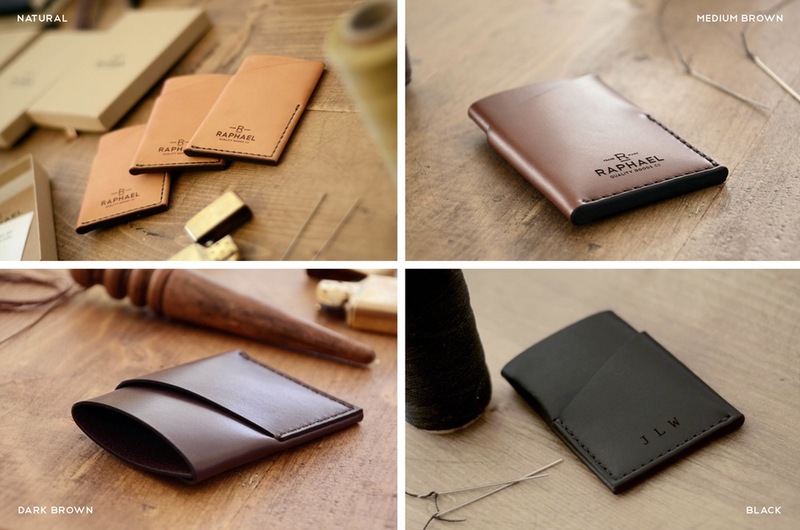 The single-piece design is brilliant, and although it adds a bit of thickness to the wallet, it addresses the ‘smooshing’ on the corners and stitching typical of a worn card holder. No longer does my wallet look like the corners want to explode, but rather a nice overall wear has encompassed the leather (it’s what I always wanted from my other card holders). Hand built with quality materials, Raphael doesn’t skimp, and you can notice it in the details. Care and attention throughout the process reminiscent of the care old-world bespoke tailors, every detail is looked after. From the custom monogramming, down to the decadent packaging, Raphael is a true craftsman. 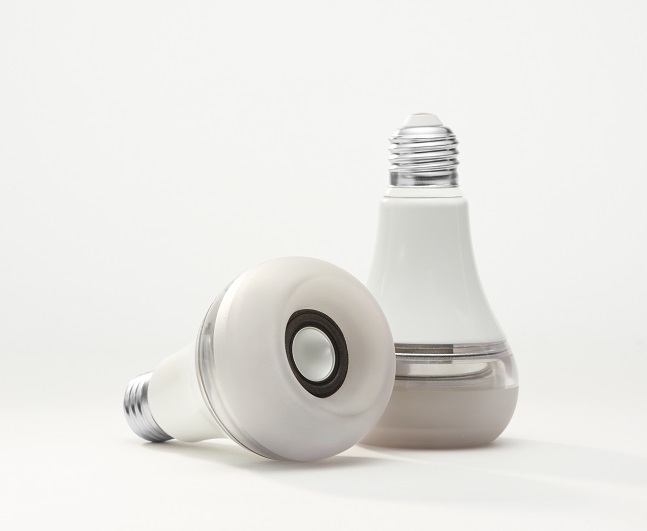 Twist has put a whole new turn on home automation and integration with their bluetooth wireless speaker that lives inside an LED lightbulb. 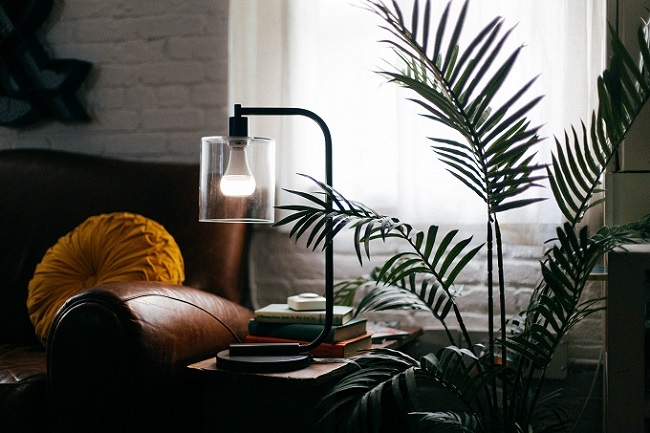 Not only can your lightbulb play music, but it also alters the light color output throughout the day. If you are one of those people wearing blueblockers at night, then you will appreciate the automatic changing from blue ‘waking’ light in the morning to soft warm light in the evening. Oh yeah, did we mention it also has a speaker in it?! Now, moving on to the speaker part of it, a wireless bluetooth speaker that uses the same technology as BOSE and Bang & Olufsen to deliver craze-amaze sound out of a tiny driver. Using airplay (or whatever fancy app you like), you can connect multiple speakers in your room without needing a hub or connecting device. I’ve always been a tech geek at heart. Combined with my love of clean design, style, and quality, finding intelligently designed computer hardware (outside of Apple and sometimes Sony) can be quite difficult. 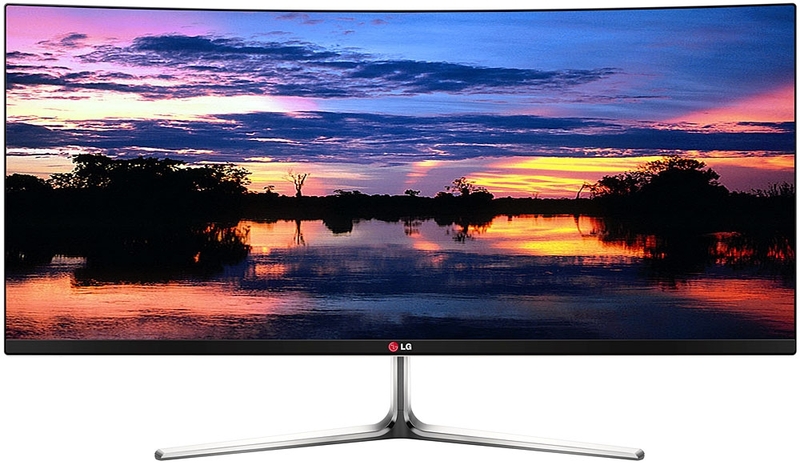 LG has brought that function-meets-fabulous to their 34 inch UltraWide WQHD IPS Curved LED Monitor (34UC97-S if you must know the model number). 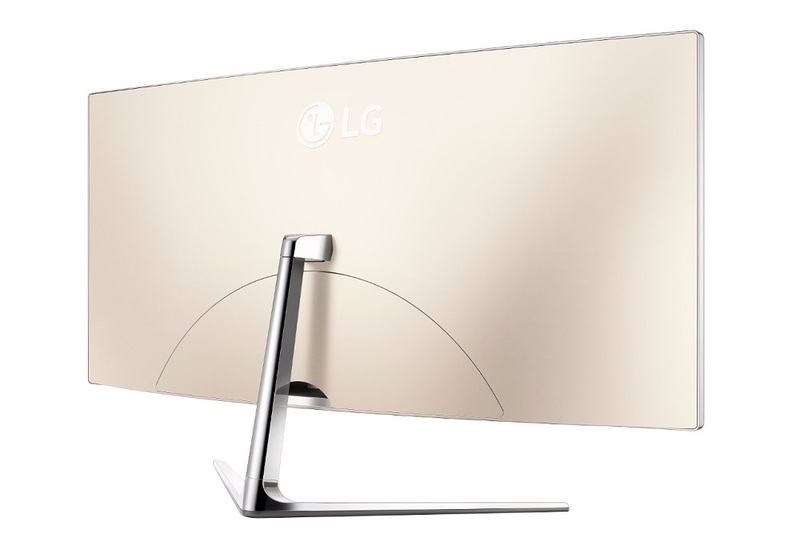 It’s got a slight curve and crushes my previous two or three stacked monitors in every way. Device Hoarder: Dual Linkup feature – two compatible portable devices can be viewed on the same screen simultaneously. The Gamer: Uhh, wrap around view anyone? 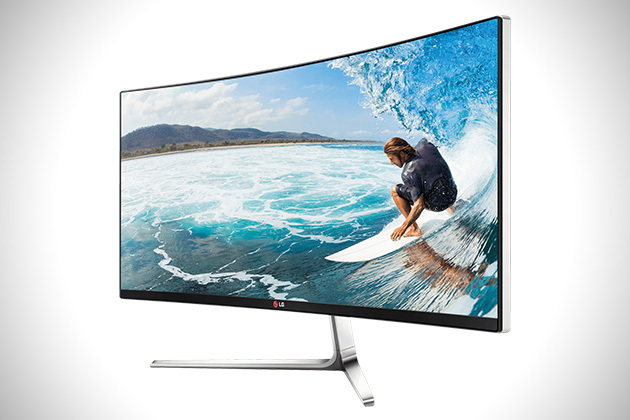 3+ monitors should do it. And forget your multi-pass, this thing has multi-ports! Two HDMI, two USB 3.0 ports, two Thunderbolt 2 ports, and a Display Port. 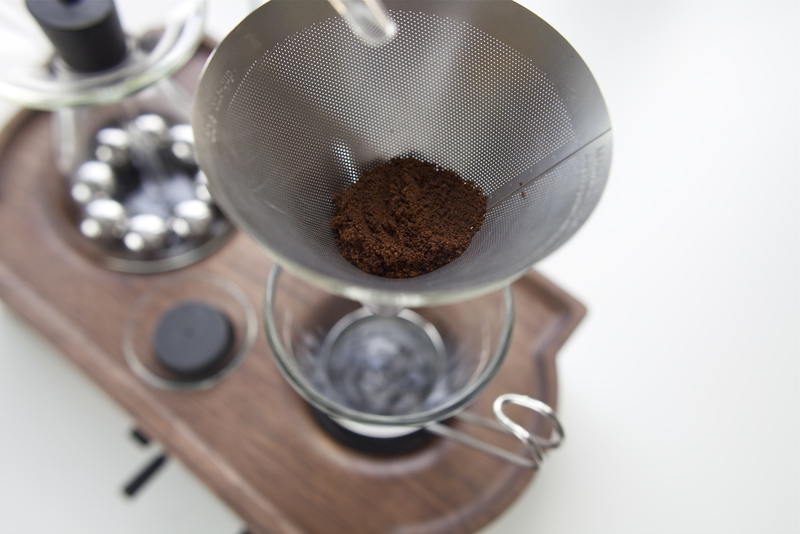 Being a coffee snob these days is easy. 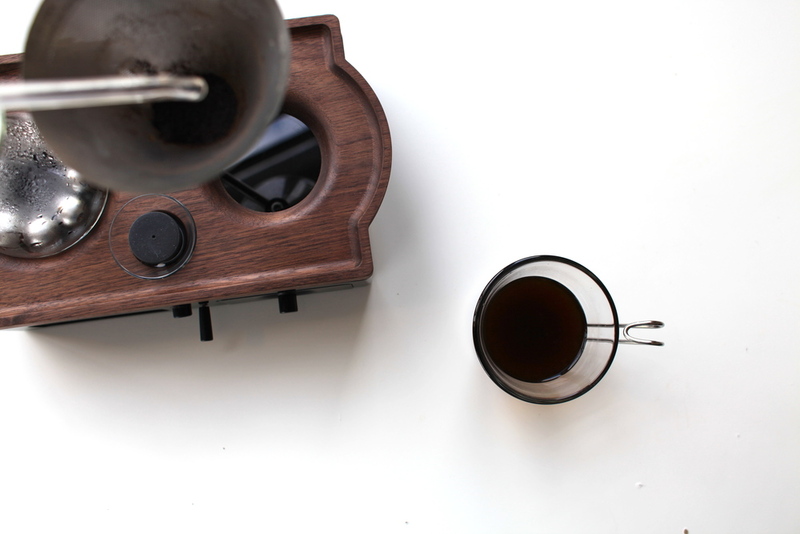 There are so many options out there that make you a great cup of coffee, but how many of them look good doing it? 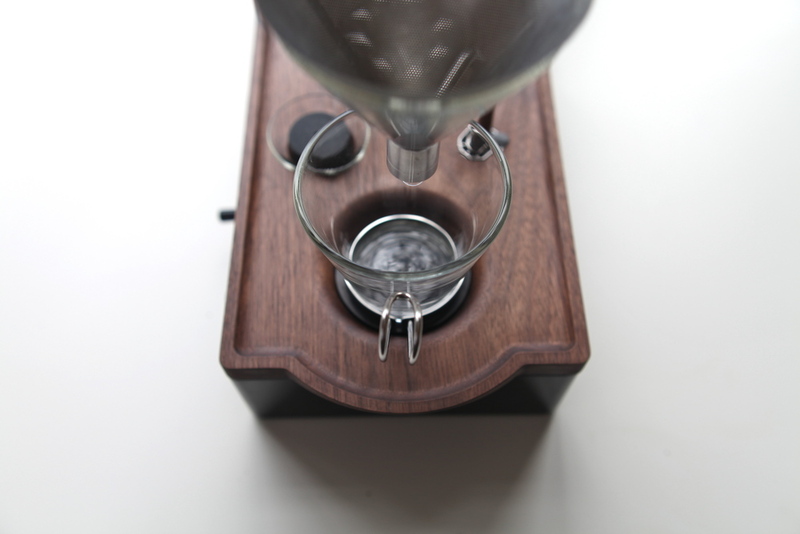 The Barisieur is a brewing creation from the mind of Joshua Renouf, a Product Design Graduate from Nottingham Trent University, that combines the two- from your nightstand. Part alarm clock, part brewer, all function. 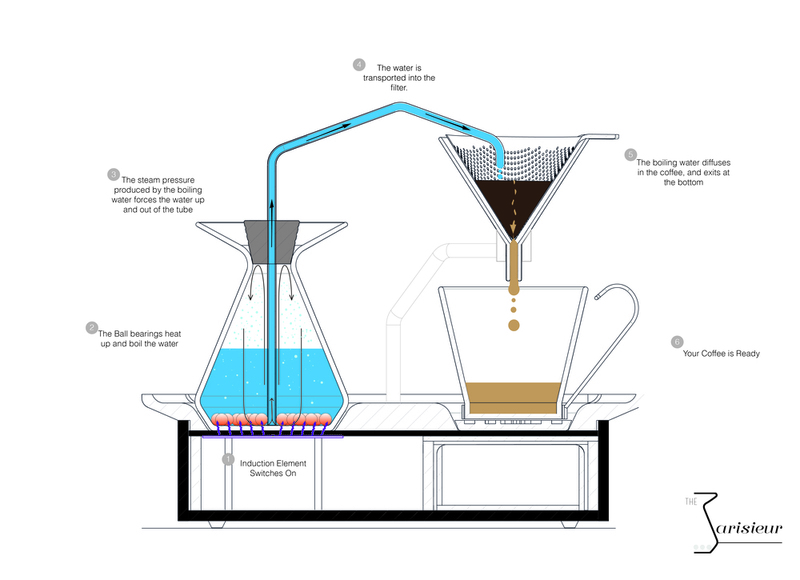 The brewing process has been designed all the way down to the sugar and creme storage and placement. Induction heated and assisted by metal ball bearings, the whole process can be customized to your personal tastes. 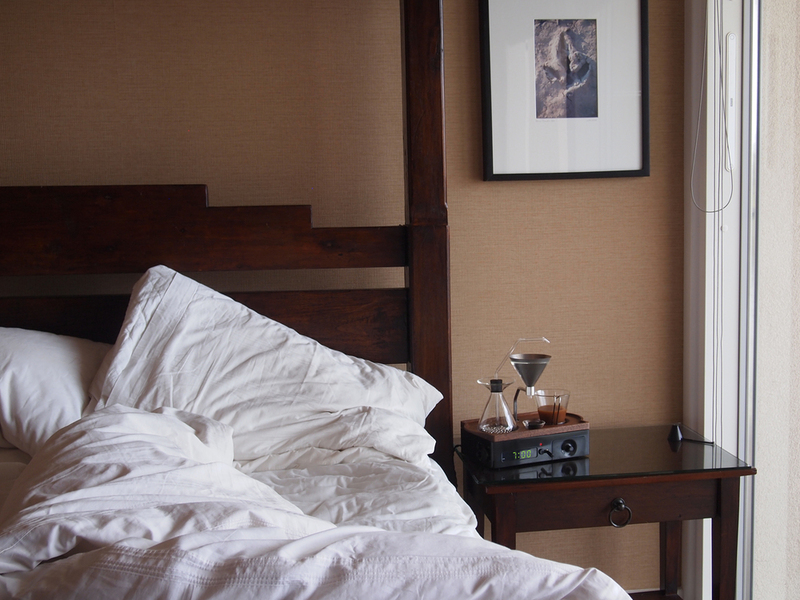 Sleekly designed and finished in wood, the brewing alarm clock looks right at home on the nightstand of any the modern bedroom. As you may have noticed, I gravitate towards the classically styled and well designed. One such item that performs flawlessly in this arena is the Tivoli Model One by Tivoli Audio. It brings me my news in the morning as I pour my espresso, through the dependable FM radio waves in incredible clarity and depth. It is subtle and timeless, yet performs boldly. I went for the Bluetooth model so I would be able to stream through my phone, although the real delight comes from tuning the FM radio. Micro tuning is what this baby does best, and I am able to dial it in perfect for just about any station I am in the mood for. 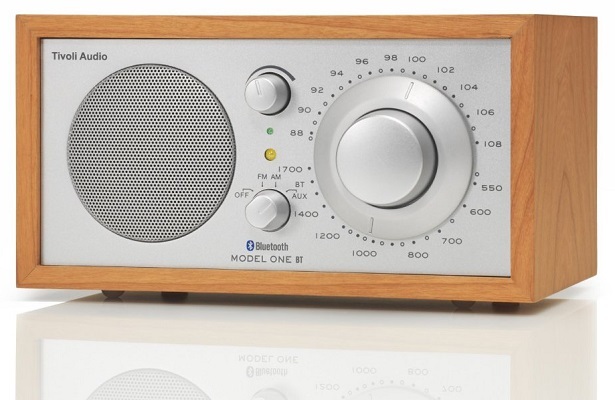 Deep bass notes, excellent clarity and charming good looks, this radio has it all. Know who is at your door without being there. A brilliant concept, especially in today’s remote connected world where you can unlock a door, turn a light on, or trigger a trap door. Peeple has addressed the is anyone home problem by creating the answering machine of in-person visits. A tiny camera takes a photo through your peep hole and sends it to your smart phone via wifi. It can be triggered by events such as a door knock, doorbell, or the opening or closing of the door. A great and simple product, makes me wonder if it will soon be available in video format soon as well. There are great security implications, or it can be integrated into your smart home in a variety of ways. …caller ID for your front door. It only needs to be charged about once every six months, and no price has been set, but it is expected it to be “less than competitive doorbell offerings on the market”. 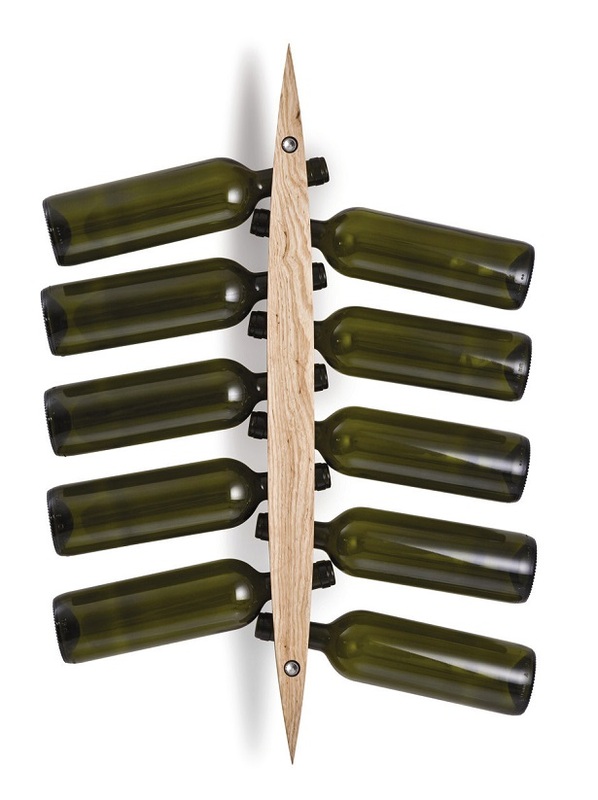 This beautiful shaped wood hanging wine bottle rack is the brainchild of Antonio Lages & Angela Ladeiro. Part of Legnoart, this Italian company is founded on the highest standards of quality and craftsmanship. Award-winning with extreme attention to detail, the innovative design is combined with eco friendly materials and redefines modern kitchenware. I’m particular to the look with, or without bottles present (or really any combination thereof). A real eye pleaser, and space saver, this design holds up to 10 wine bottles by their necks on your wall in a decorative way. Display your amazing collection with a modern chic designed rack. Done. I first saw these on a trip to Santa Cruz hanging on the wall of a local gallery and fell in love. The playful subjects and creative visualizations of these already strange looking sea creatures gives a unique perspective, almost child-like. Broken down to the simplest elements, and then reconstructed with lines and 60’s style shapes, his talent is obvious. Just as at home on a nursery wall as a living room or office, the prints inspire the imagination and delight the observer. Upon visiting the Doug Ross website, I see that his works are wide ranging, but still employ a similar illustration style. 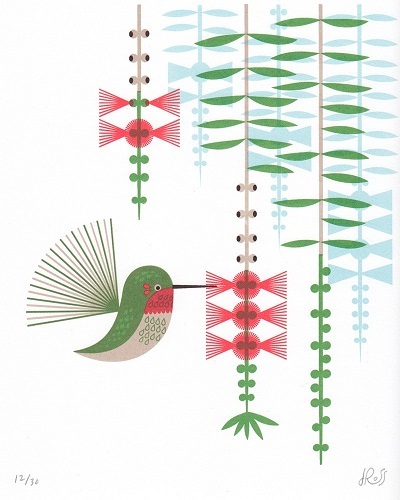 Bikes, birds and sea-life seem to be the focus of much of his fine-art prints, and a healthy amount of options are available for purchase on his website at very reasonable prices.